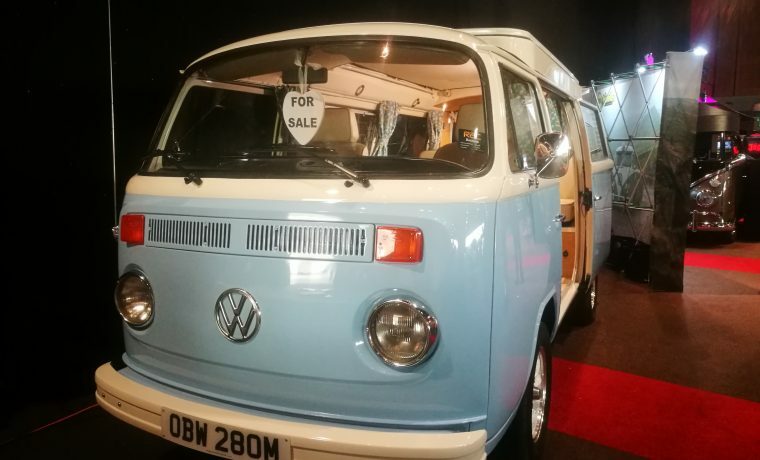 Welcome to the sale of Emily, our rare, right hand drive, 1973 2.0 litre Automatic Campervan. Recently refurbished with new paintwork, cavity waxing to the underside and a refreshed interior, including new carpets and cab headlining, she’s ready for a new family to love and cherish her. Fully equipped with a three burner hob and sink combination with electric pumped water, a Propex cabin heater, Waeco fridge with freezer box, LED lighting, full-sized rock and roll bed and a Devon concertina pop top with a single bunk. There’s also a leisure battery, 240 volt hookup and a split charge relay to keep you powered up whilst on site. The 2.0 litre type 4 engine starts first time and pulls really well and with the automatic gearbox, there’s nothing much to do except sit back and enjoy the drive. Emily also has the benefit of servo assisted brakes, which makes driving in modern traffic conditions easier. She’s all set and ready to go camping, just turn the key and you’re off!